Your Dentist in Galt Mile Shares Toothpaste Tips Here! 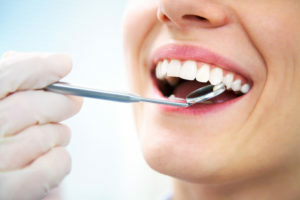 Choosing your dental tools is imperative to how well your teeth will be cleaned and cared for. It’s important to know what to look for—even when it comes to choosing the best toothpaste. Your dentist in Galt Mile is here to shed some light on toothpaste, why we use it, and which one may be best for you to use. You can stop sweating when you go down the dental care aisle when you read this article! Let’s get back to the basics and explain the ingredients you can expect to see in different types of toothpaste. Detergents create the frothiness that comes when you begin brushing. Flavoring helps the toothpaste to taste good to you, ranging from minty to cinnamon, to fruity tastes, too. Abrasives are what work to remove plaque and other debris from your teeth. Thickeners are what help provide the texture to your toothpaste. Humectants work to keep your toothpaste moist so it doesn’t dry out—even when you accidentally leave the top off for a night! But keep this in mind: when choosing a toothpaste, you should be looking for fluoride in the ingredients. Fluoride helps to keep the teeth strong by rebuilding enamel and protecting from tooth decay. When it comes to choosing your perfect toothpaste, the decision is yours. First, determine your smile goals and how your toothpaste can help you achieve them. For example, do you struggle with sensitivity? Do you want whiter teeth? What about cavity protection? Depending on what you’re looking for, you can find different toothpastes that will specifically work to help you achieve your goal each time you brush your teeth. This type of toothpaste includes anti-plaque agents to help control tartar buildup. This toothpaste can help reduce the chance of harmful buildup if used consistently. These types of toothpastes work to remove surface stains with special chemicals and abrasives. Most tooth whitening toothpastes don’t give the dramatic results that people want because they work very gradually. Suffering from tooth sensitivity is never a joke. It can be extremely uncomfortable. Toothpastes have been created to specifically help patients build up the protective layers of their teeth for more pleasant dental eyepieces. Another great resource to rely on is your dentist. Your dental team is always ready to help you obtain optimal oral health—even outside of the dental practice. If you are unsure of which toothpaste is best for you, give your local office a call or visit so that they can see your teeth. You can rely on Mingel Dental to give you the best advice for your oral health at all times. Preventive dentistry is key to the way we practice excellent dentistry and we promote the same practices to each of our patients, including home care. Feel free to call out office if you need help choosing your best dental care materials. Comments Off on Your Dentist in Galt Mile Shares Toothpaste Tips Here!